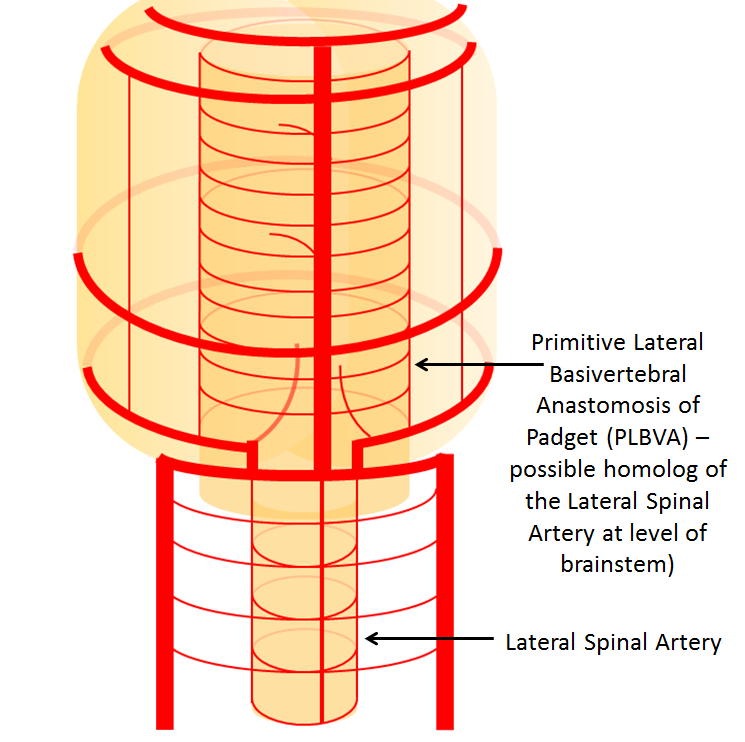 What is the Primitive Lateral Basivertebral Anastomosis of Padget (PLBVA)? 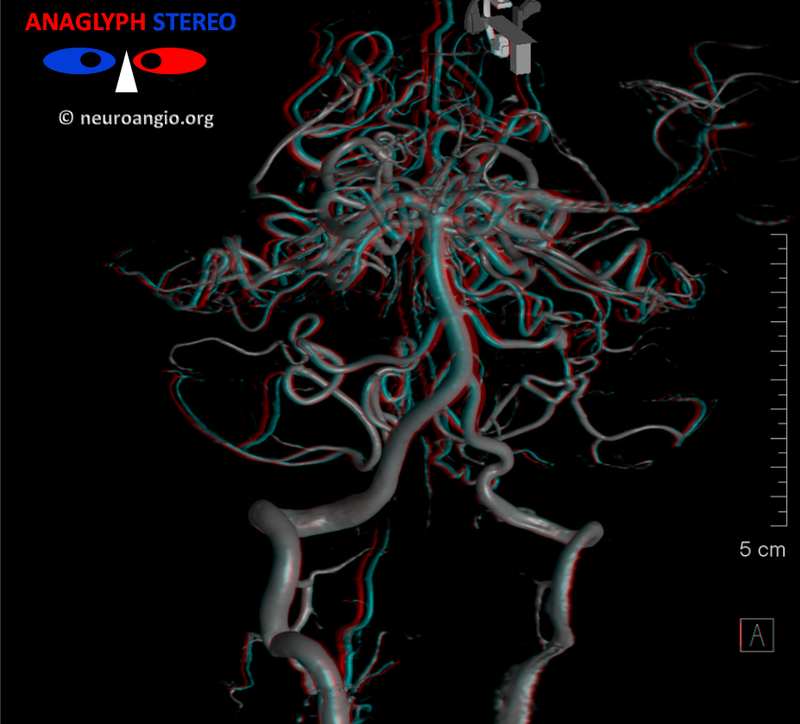 It is an important longitudinal anastomotic network that runs along the brainstem / anterior cerebellar surface, in parallel with the basilar artery. It is believed to be a homolog of the lateral spinal artery, in the same way that the basilar is a homolog of the anterior spinal artery. Very rarely seen. Also not a very catchy name choice — descriptive but too cumbersome. 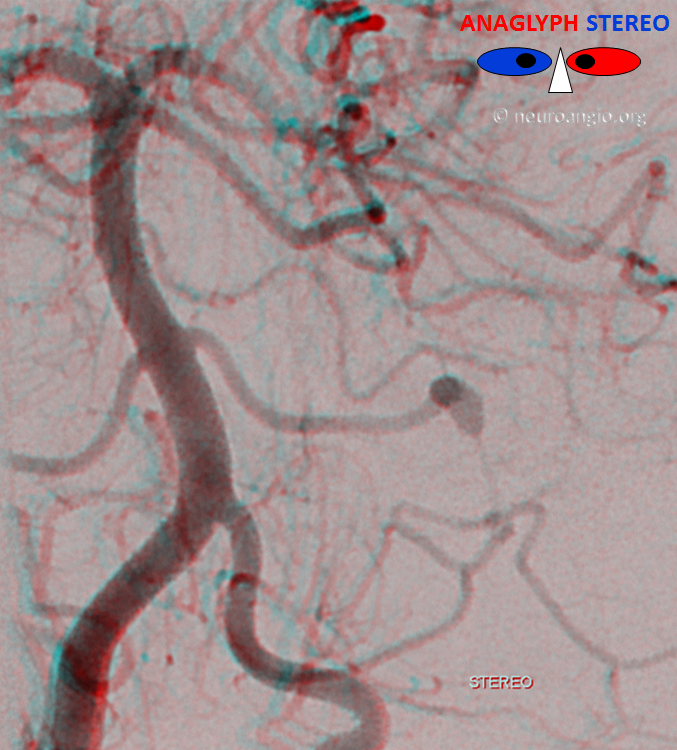 Here a great case of AICA dissecting aneurysm with distal territory reconstitution by the PLBVA. 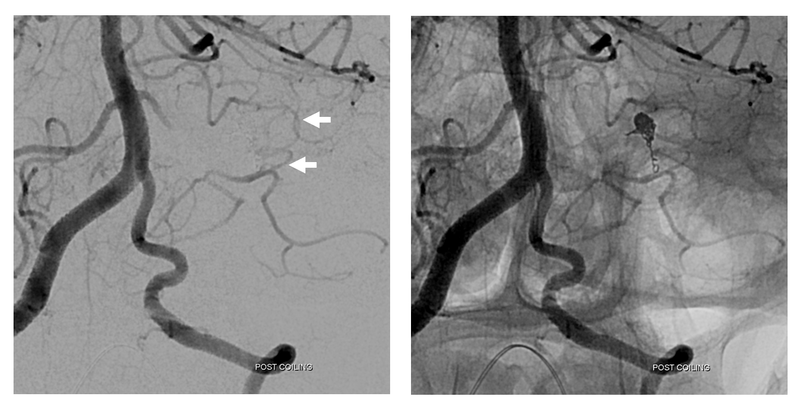 MRI shows a fusiform aneurysm (arrowhead) which enlarged over several years time. 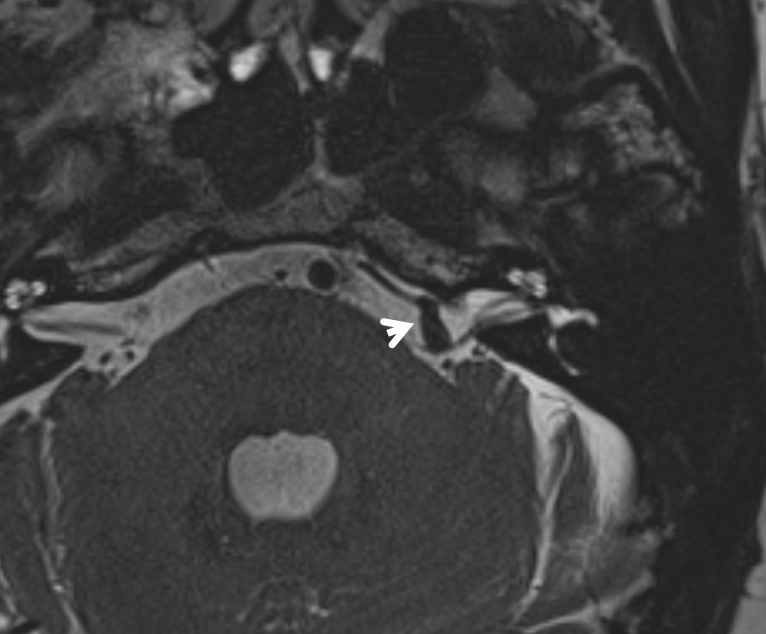 Patient presented with transient hearing loss. 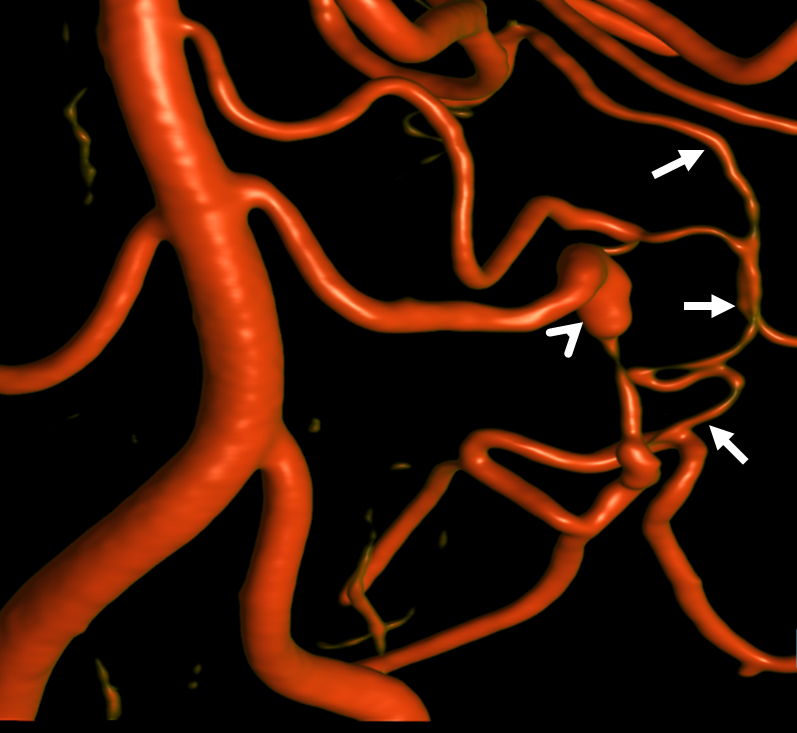 All of the above show typical features of a dissecting fusiform aneurysm, including significant stenosis distal to the aneurysm. 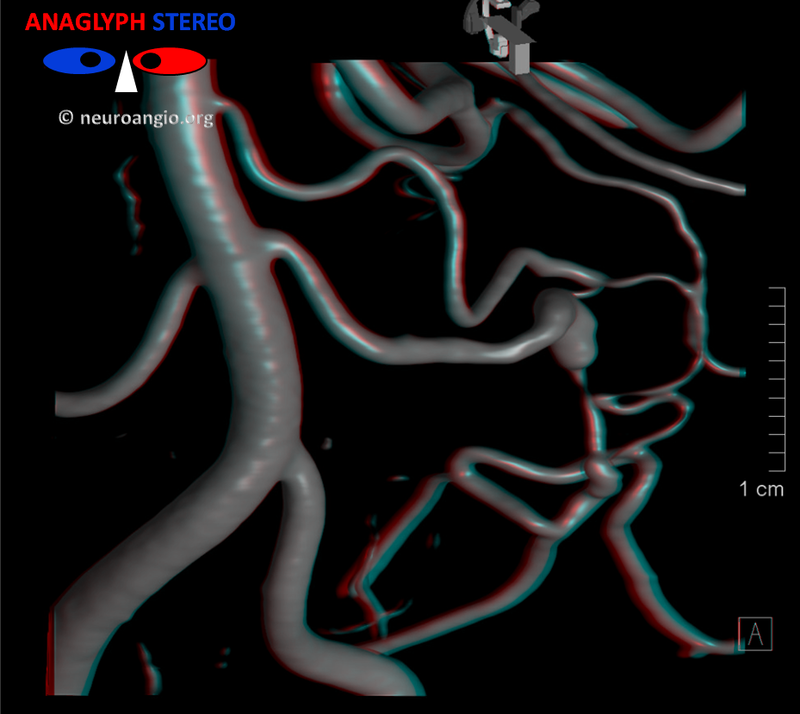 There is a hypoplastic left PICA, and duplicated AICAs — with the larger inferior one having the aneurysm and supplying the inferior hemispheric cerebellar territory, as dominant AICA-PICA does. 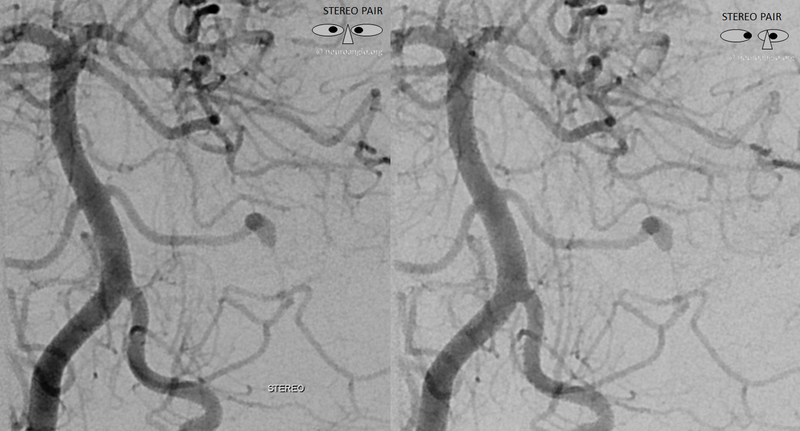 Injection of basilar above the larger inferior AICA and below the superior AICA show the PLBVA network. Why does this network develop? 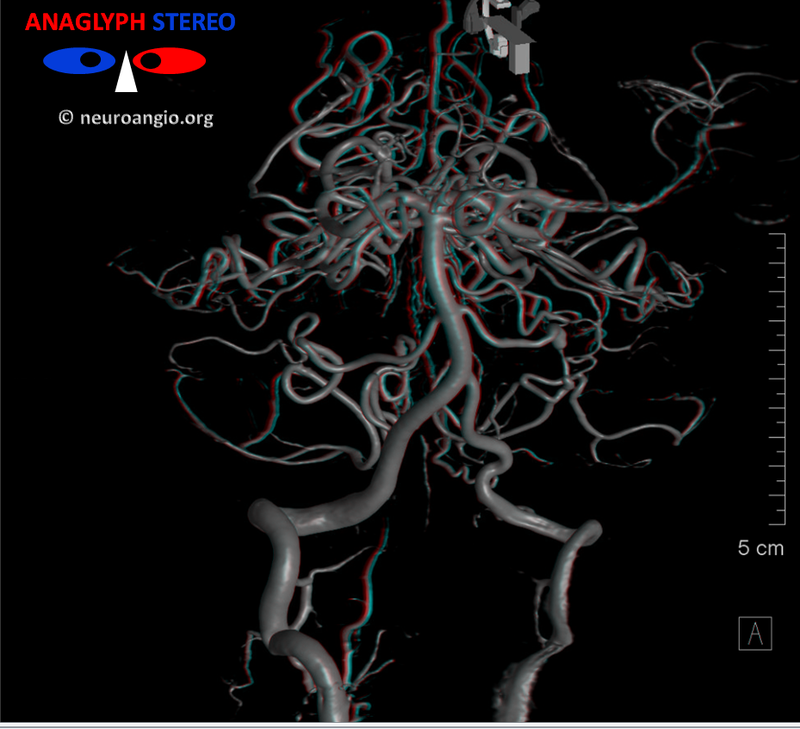 — a collateral response to flow constraint in the AICA branch distal to the aneurysm. 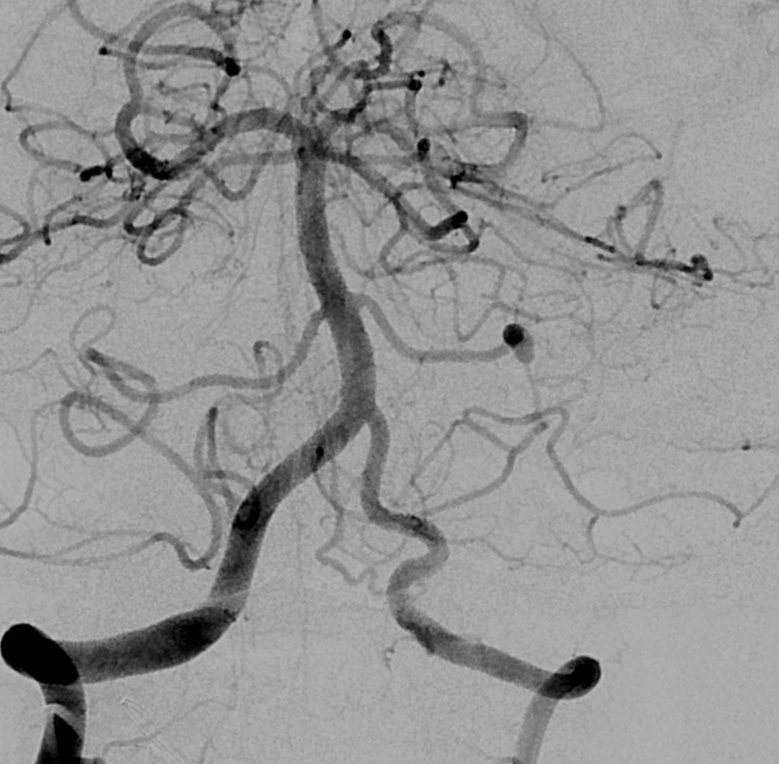 In other words, post-aneurysmal stenosis promoted growth of this normally tiny PLBVA collateral. 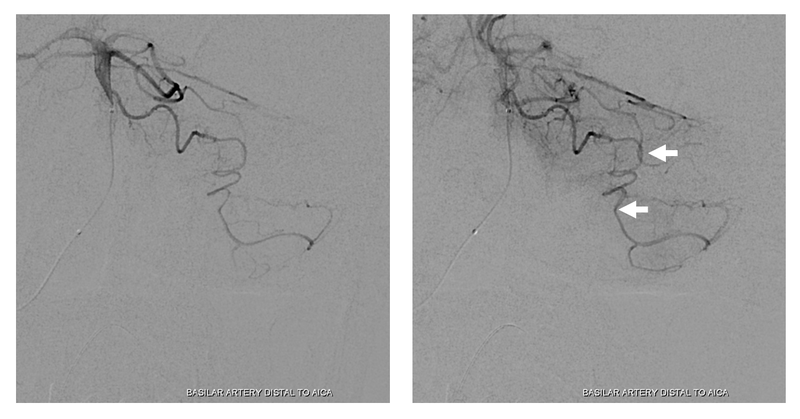 Injecting from guide with Headway Duo in above position as an effective test occlusion shows full reconstitution of distal AICA inferior cerebellar territory via the PLBVA. Coiling marker of Duo = arrowhead.